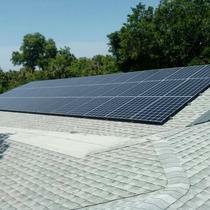 For the past 12 years May Electric has been on a mission to be one of the top contractors in Fla! 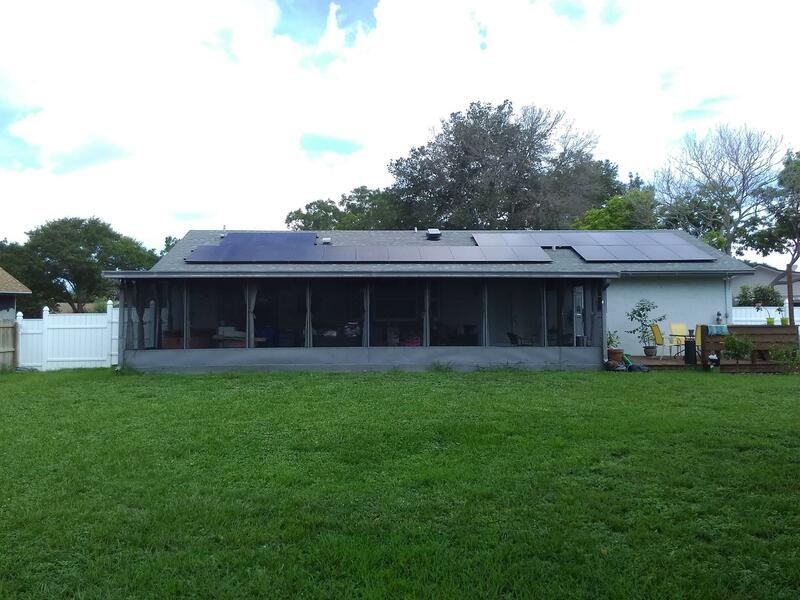 Owner/operator and Master Electrician William May has a strong passion for Solar and has dedicated himself to being a strong player in Florida's Solar industry. 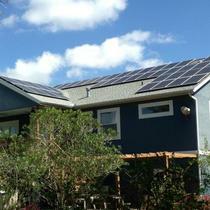 Recently May Electric was recognized as one of the Nations top 250 Solar contractors in the Nation. 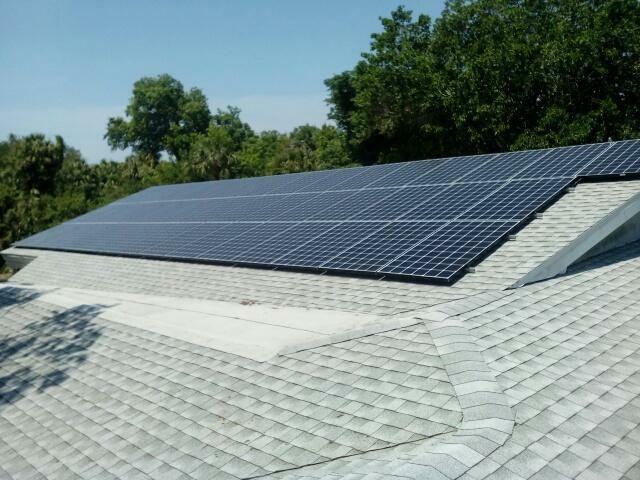 May Electric has contracted and installed tens of thousands of solar panels across Florida which has helped us build our team of customers thriving for the same mission as us. 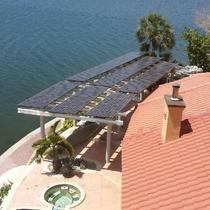 Creating using and distributing clean energy!  We welcome you to reach out to us with any questions and please don't forget to check out or reviews on Google, rate a biz and BBB. We look forward to hearing from you! 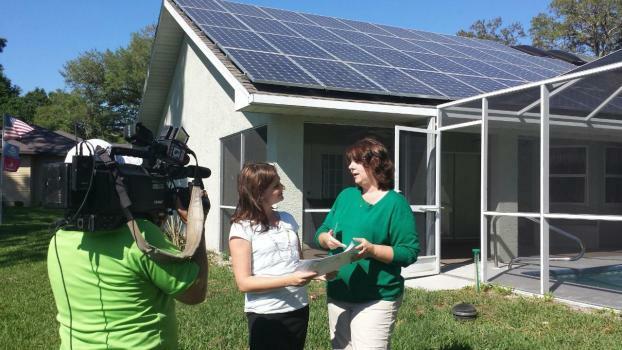 As a locally owned and operated business, we know that high energy costs are a burden for many area residents. 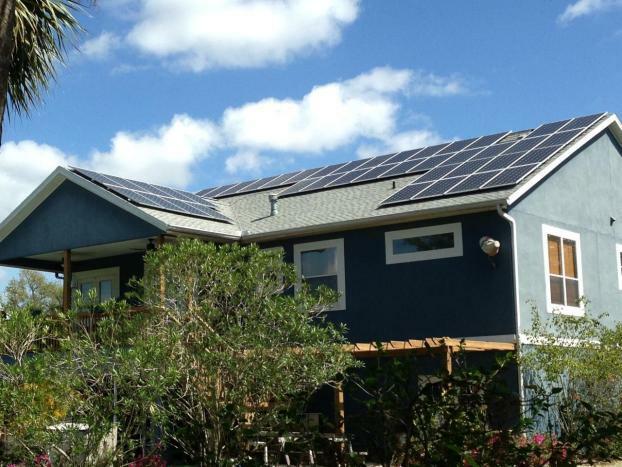 By providing honest solar energy recommendations, our team can help you save money both on your initial investment and on your long-term energy expenditures. 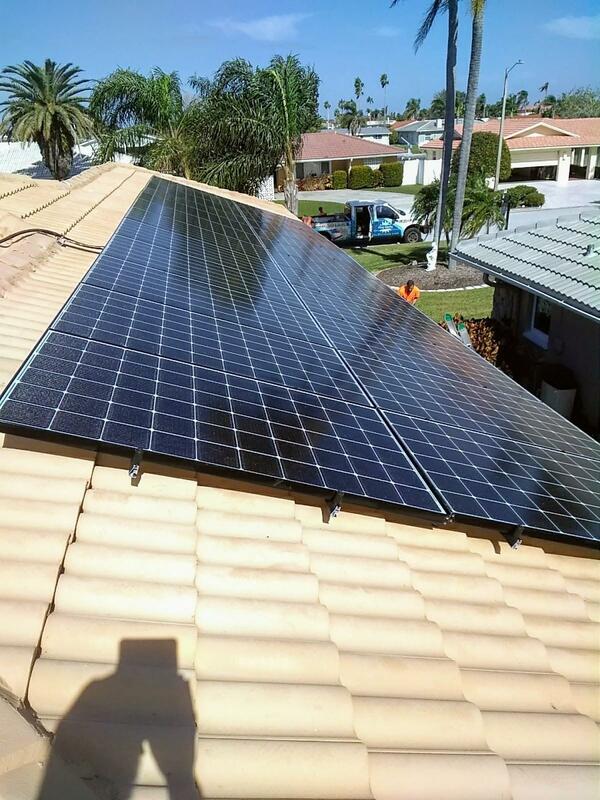 We’ll identify options that make sense for your situation, promptly complete the installation, and provide reliable maintenance and repair services when you need them. "Excellent Job, Great Price, NO surprises!" I saw an infomercial on TV for May Electric, and was quite impressed with the details provided and their approach to customer support. I called their office and told them if they could show me how I would not be paying more than I do for Duke, to give me a call back. 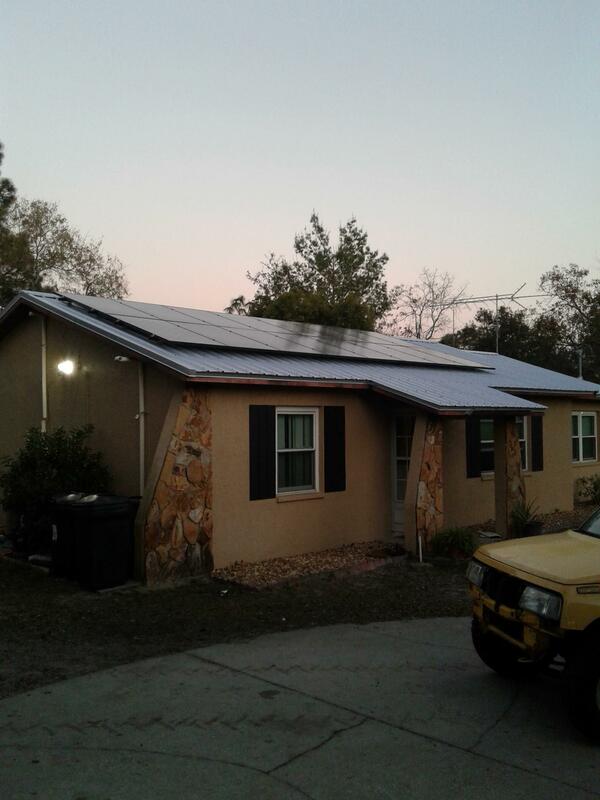 Danny Hibbs first sent me a very detailed e-mail showing my expense now and how solar would supplement it month-by-month, and multiple references. I called all the references and was very impressed. He called me later in the day to review, and then came to my house and we signed the contract. Everything from that point was done very expeditiously and professionally. Great Company, Billy the boss is great to work with and he and Danny are just a phone call away with any ??s. "Very please with entire experience!" Had great experience with May Electric. From pre-sale inquiry, through actual shopping around, and finally through installation and bringing my systems online. Love it! I like how they are very customer minded and how they followed up with me 6 weeks after the system went live just to see how everything was going. 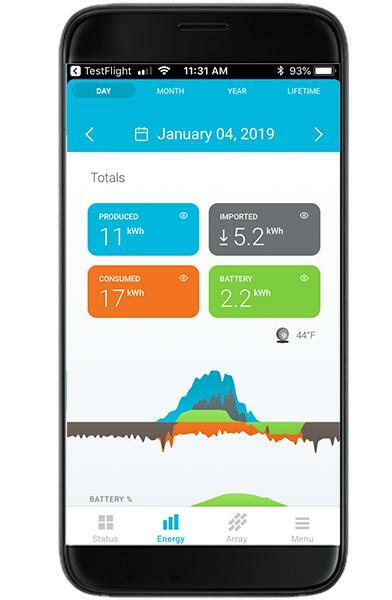 Let me give you another example: my Wi-Fi was having poor connection to solar module, they noticed that remotely and came over and installed a stand alone cell-spot to ensure data was flowing. Check out my production numbers in picture below. 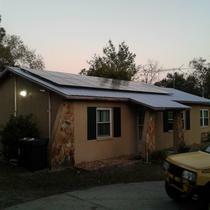 "Best quality and price on solar system"
Had May Solar install 33 panels on my roof and it was a fantastic experience. Danny and Bill were very knowledgeable and receptive to all my questions and there was no surprises. 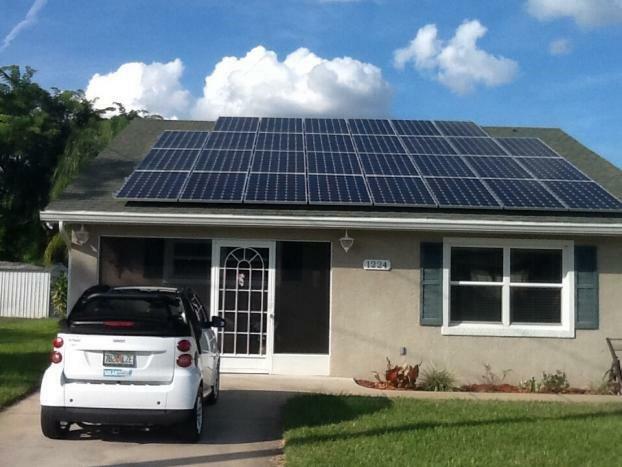 I still find it amazing that the sun can power my house 100% and wish I had done it ten years ago. 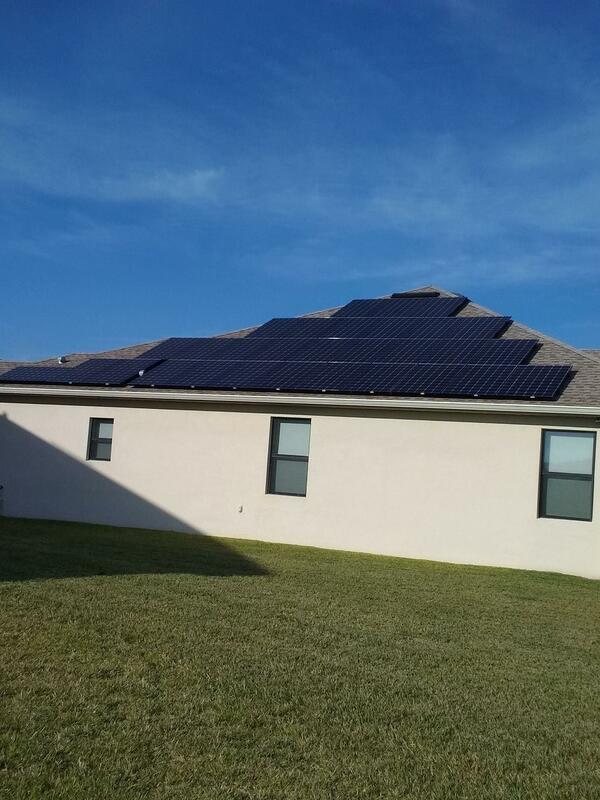 I had 10 solar companies give me estimates and May Solar had the best prices, best quality equipment and best internet reviews (check them out on google). Make sure you take advantage of the 30% federal tax credit! Before you waste any more time shopping around, read this. I spent MONTHS researching panels. Then another month or two finding a vendor. I can save you a LOT of time. 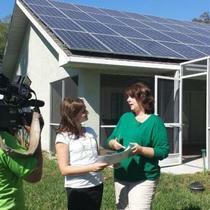 Simply said: go with May Electric Solar. I checked them out top to bottom and they are clean as a whistle. They are owner operated by William “Billy” May. If you talk to him for 5 mins you will notice a passion for electrical, especially solar. On top of that, he knows that customer service is everything in today’s world. Example: he was on my roof during installation making sure everything went well. Danny Hibbs, their sales consultant, is all about the customer as well. Fantastic guy. Billy May's office team was responsive, detailed and always polite. 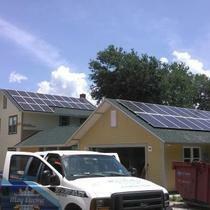 The installers were courteous and very friendly as well. It was a good experience. The worst part… is waiting for the power company to install your net meter so you can start making your own power! But that only took about 6 days after their approval process. Now I’m up an rrunning and addicted to the production vs consumption charts on the Enphase Enlighten site. Making your own power is invigorating. 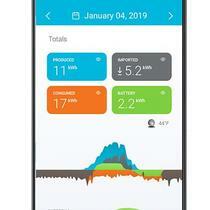 Now, here is my advice for shopping around: First, use EnergySage.com. It’s a fantastic site. Tons of relevant information that you need for your search. That’s where I found May Electric Solar. All in, I called 10 different solar companies. About 7 actually replied. I narrowed it down to 2 of them. Bottom line is this, EDUCATE YOURSELF! You must know exactly what you want and only ask each vendor to quote you precisely that! If they say that can’t get it, disqualify them and move on. Otherwise you will become so confused you’ll walk away from the whole idea. 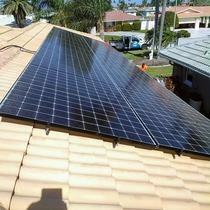 Many companies will sell you on cheaper panels. Why? Because they make the highest profit margins on them. 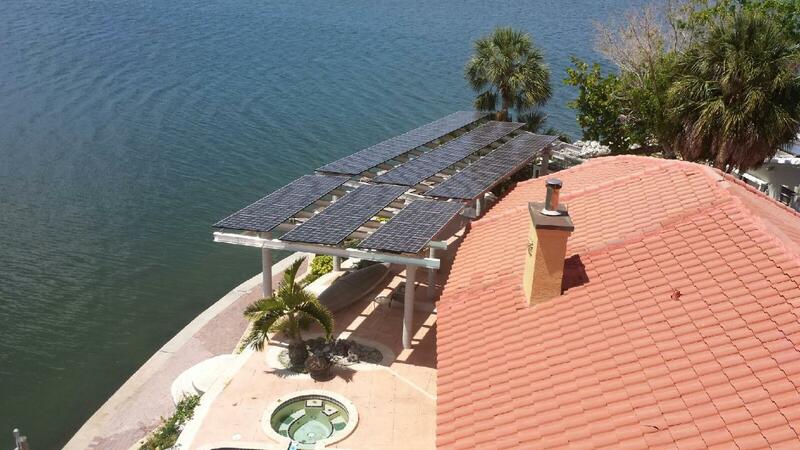 Here is what I found to be the best panels: SunPower, LG and Panasonic (SunPower being the best). I went with LG panels. 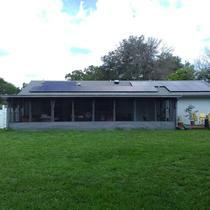 No doubt that SunPower makes a great quality panel, but LG is giving them a hard run for the money. You’ll get more power per dollar going with LG and the the warranty is pretty much equal to SunPower’s. Panasonic is not far behind. 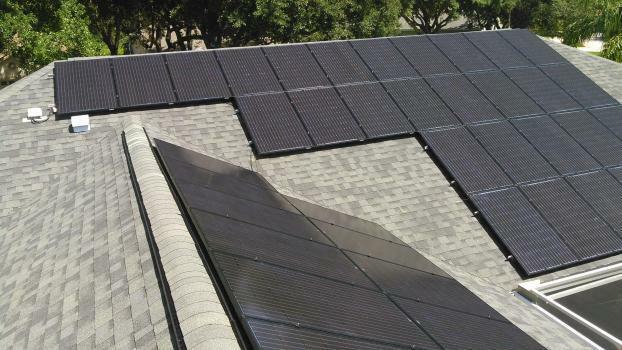 Most companies will offer you somewhere between 300 and 340 watt panels (the lower the wattage the more panels you will have on your roof). That’s fine, but check the efficiency. 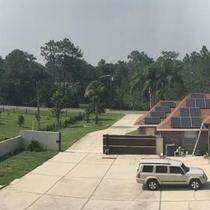 Upon my request, May Electric Solar quoted me LG 360 watt panels and dollar for dollar they went up against SunPower’s 327 watt panels. The efficiency is virtually equal. 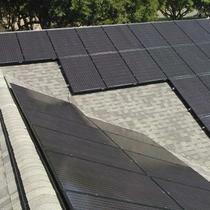 So 33 more watts per panel for the same price. Guess what’s on my roof…. LG 360 watt panels. Best of luck on your search! May electric is this kind of a company where you have not to worry about anything. 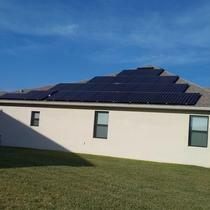 Very reliable and a smooth process to get your Solar/PV panels installed. I can highly recommend. It was the easiest process ever. 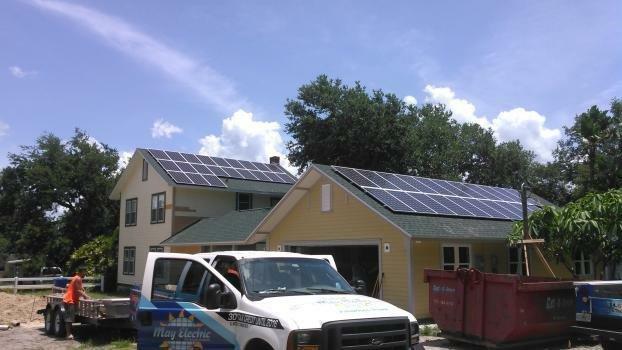 I was extremely pleased with the proficiency and care that the May Electric crew demonstrated. They cleaned up, damaged nothing and Billy took the time to go over the components and operation of the system. There really is nothing to do . 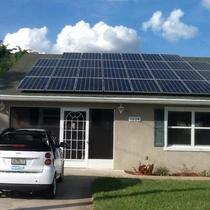 . . the system just sits there and eliminates my electric bill; I love to watch my electric meter run backwards. I would not consider using anyone else for future additions. "Great to work with. Super quick installation. Best price." 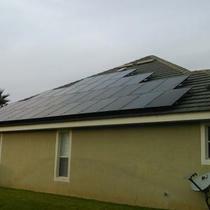 Installation was over in one day on a 10kw system. They had the best price and the system has been running over a year with zero issues. Works as advertised​. 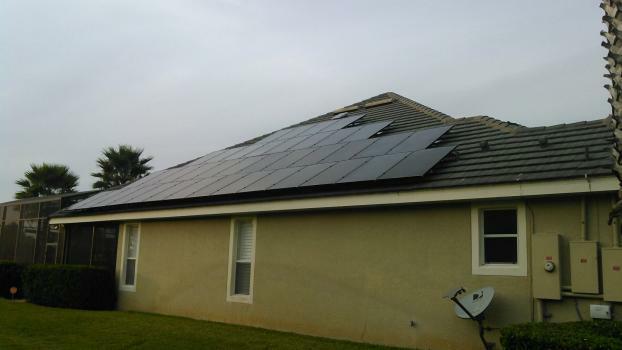 The micro inverters have several benefits over a centralized inverter that make them the perfect solution when supplementing a grid connection (I.E. no battery backup).